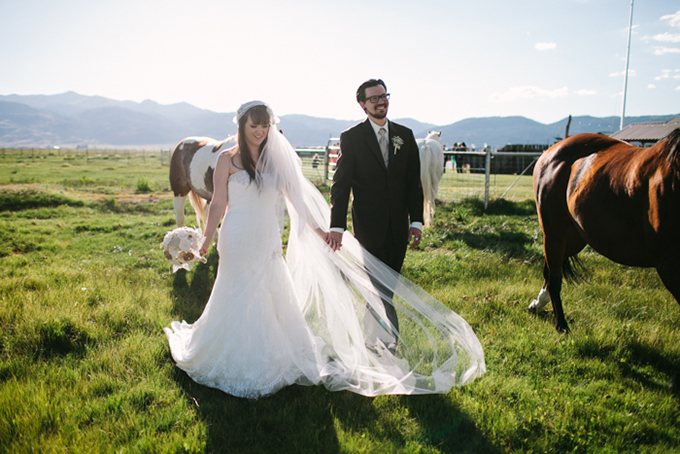 I’m so excited to share this beautiful rustic ranch wedding captured by Joe+Kathrina. 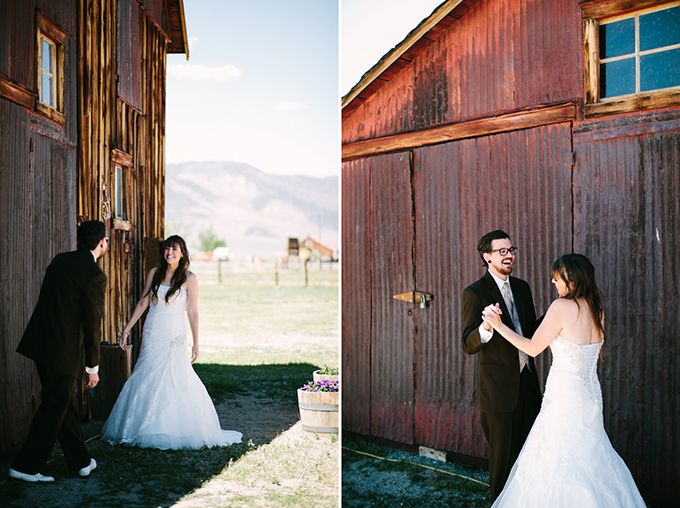 The location is breath-taking, the details charming, and the images stunning. 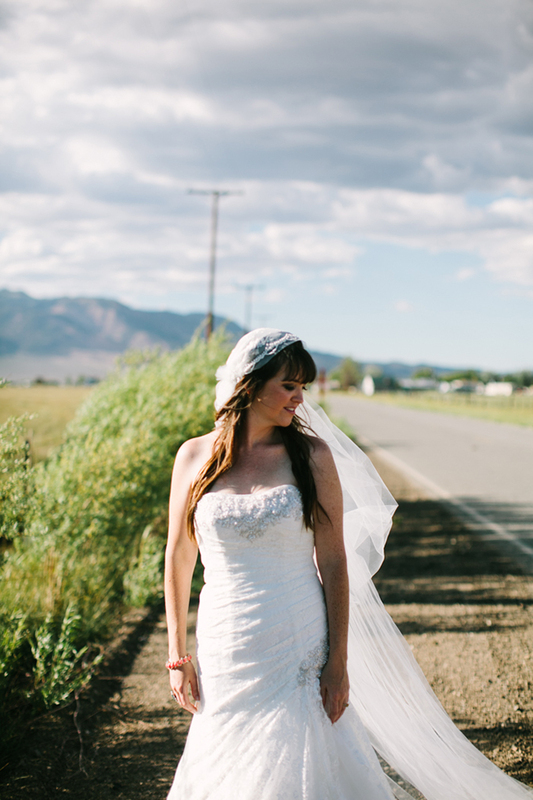 I’m personally absolutely in love with the bride’s stunning cathedral length veil! Such a romantic look! 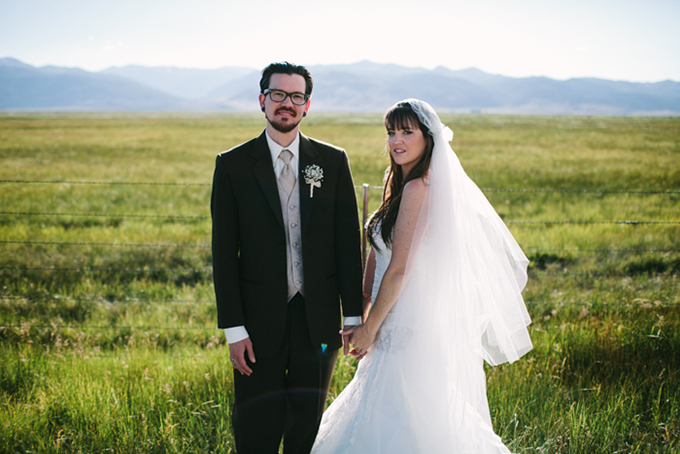 Our wedding took place on June 22, 2013 in Bridgeport, Ca. 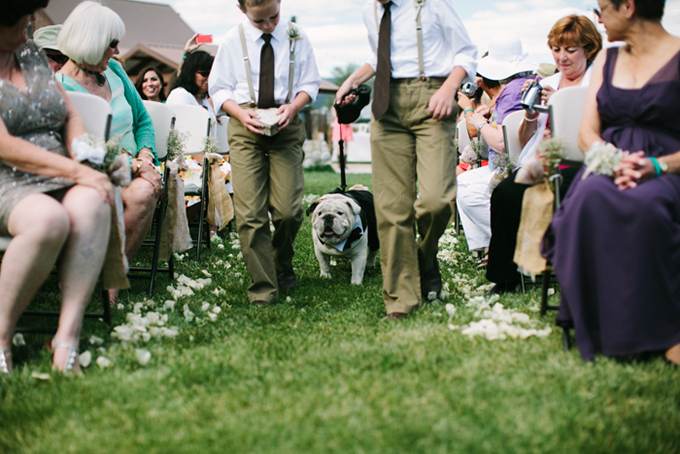 We wanted a location that meant something special to us and, so, chose Bridgeport. My parents have a house in nearby Twin Lakes where I have vacationed every summer since birth. Kenny and I love nature hikes and visiting all the scenic spots around Bridgeport. The town is just so quaint and full of history, we knew people would enjoy traveling there and wanted to share this place with our friends and family. 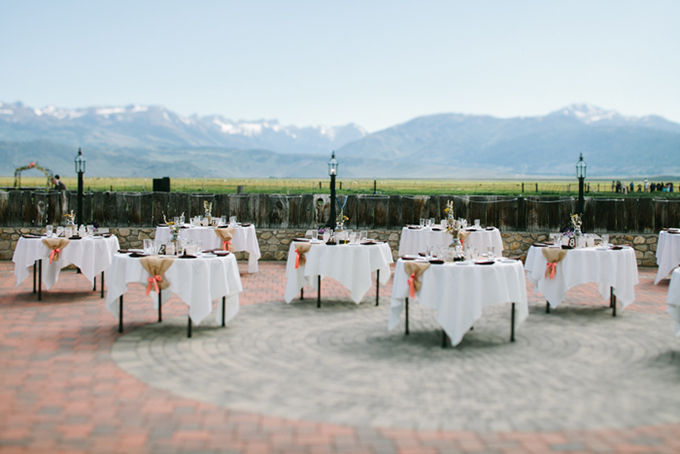 We decided since we were making people travel, we would plan events for the entire weekend that included a huge rehearsal dinner at our cabin, a hike, trips to the hot springs, the ghost town, Bodie, and Yosemite. 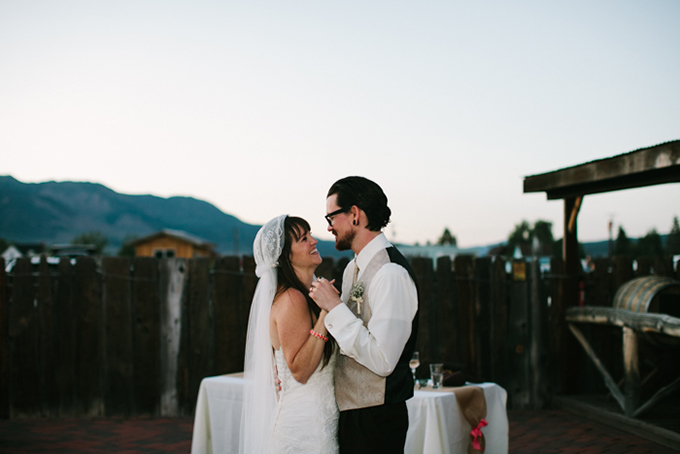 Our favorite moment was the first look. 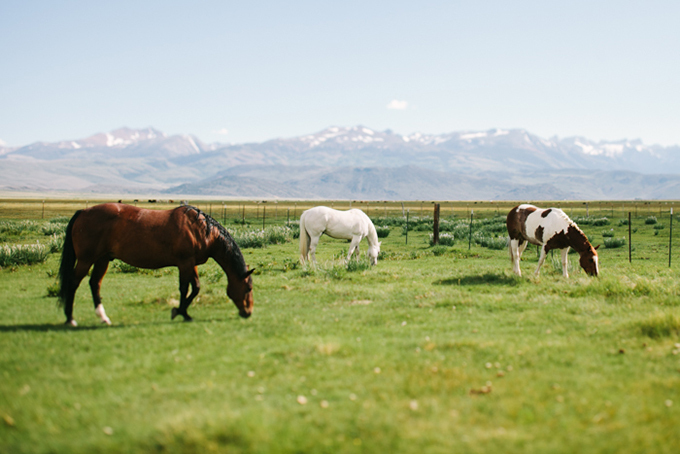 Our photographers chose a spot at the ranch for us to see each other before the chaos of the festivities ensued. It was exciting as they directed and captured our moves including the moment where Kenny turned around to see me in my gown. This became time for us to share our excitement, relax each other, and also take in what the day was about, our love. 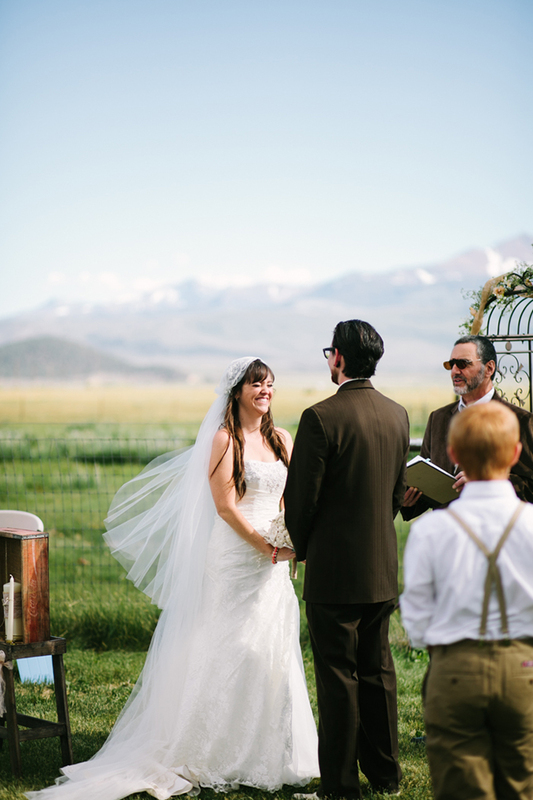 The ceremony took place on the pasture overlooking a huge open meadow of grazing cows and horses with the snow-covered mountain range behind. It is a truly gorgeous view. 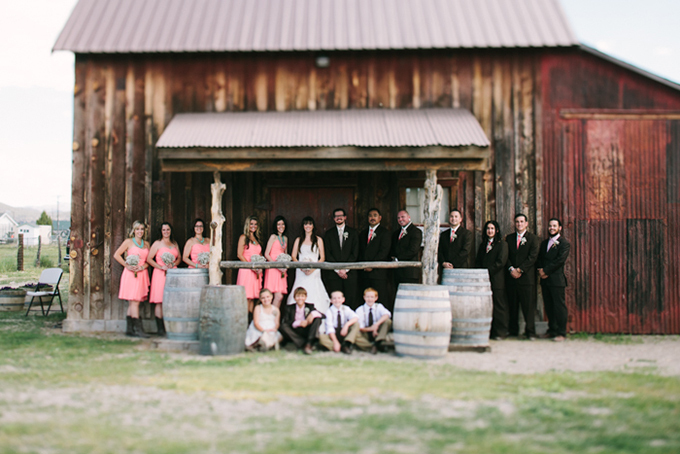 The reception took place on the outdoor terrace which features a barn built in 1891. 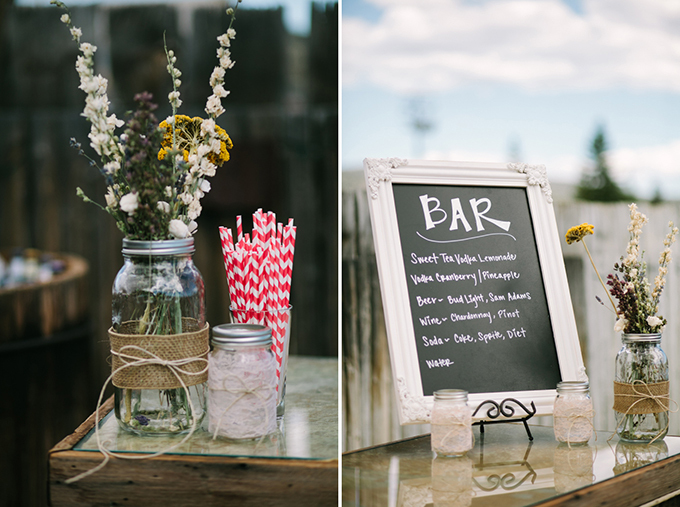 This helped set the tone for the rustic vibe we were going for. I wanted a gown of lace and quickly found a very pretty off-white one and coordinated the bridesmaids’ dresses, which had a similar draping element. 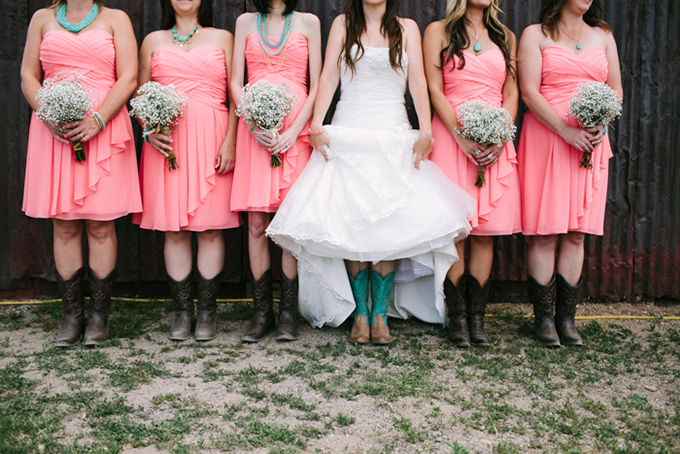 We chose coral and brown as our colors, so the girls wore coral with brown cowboy boots and the guys wore brown suits with coral detail. My husband’s aunt replicated his grandmother’s 1920’s vintage-style veil that became my something borrowed and favorite accessory. 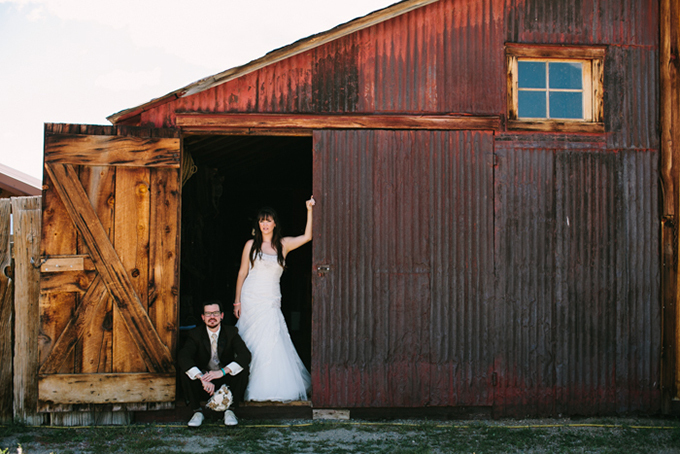 The overall theme I went for I called “Rustic Romance.” We already had a lot of rustic elements, so to add touches of romance I matched the decorations to my lace-covered wedding gown. 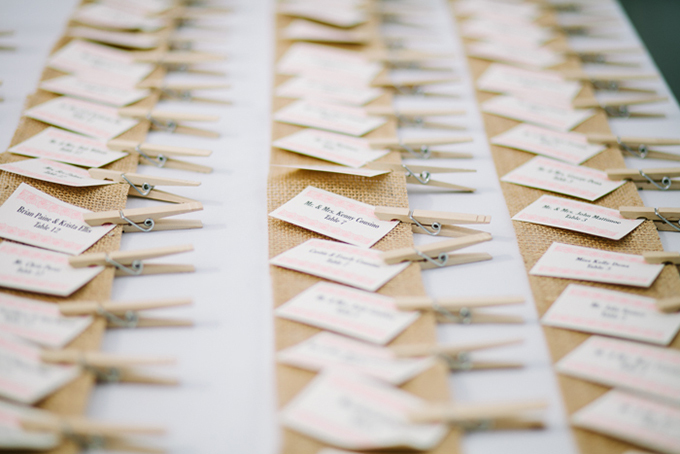 The aisle was lined with bows of burlap and lace with a small bouquet of baby’s breath out the top. 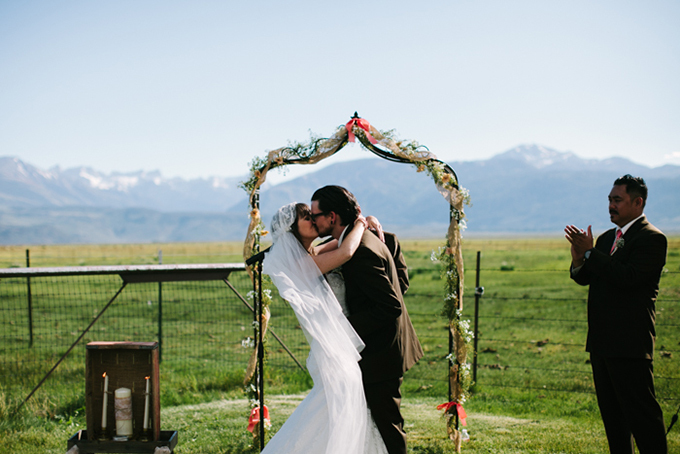 The arbor behind us was draped with burlap, greenery, and flowers. 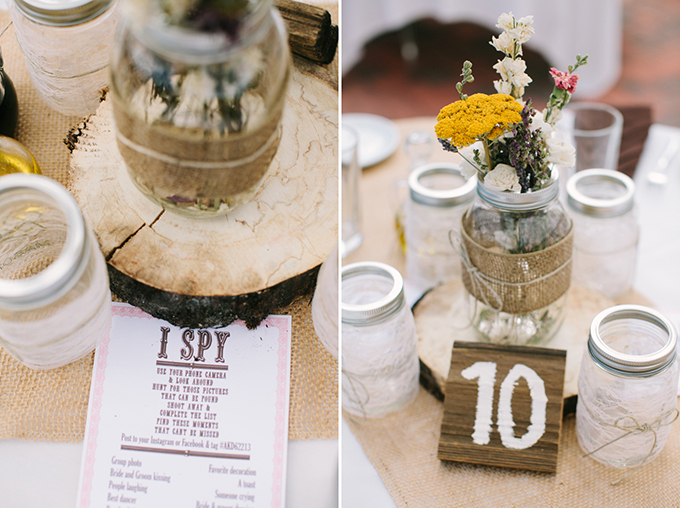 The centerpieces consisted of mason jars covered in lace tied with a twine bow. A larger jar sat atop a round, wood slab that my dad cut from logs filled of dried flowers. Four small jars were used as candles. A burlap table runner covered each table. 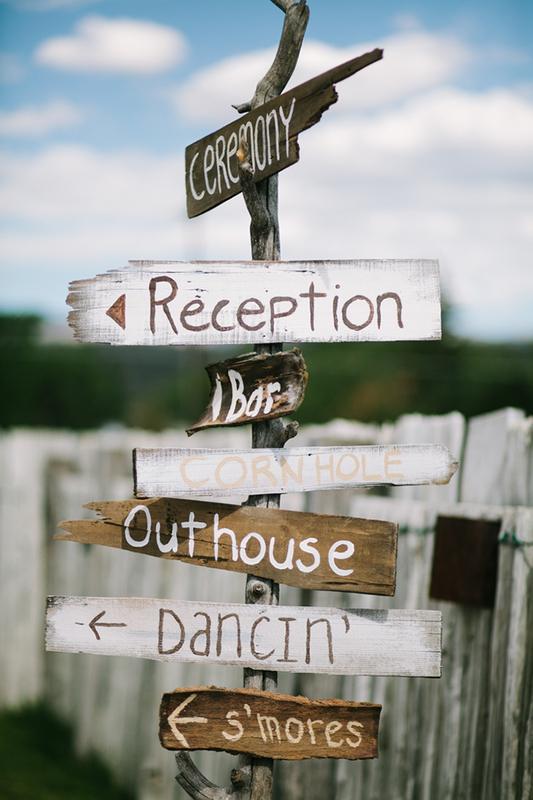 We added some other rustic decorations with a hand-painted wooden, A-frame sign and wooden post designating areas for the ceremony, reception, bar, outhouse, dancing, and s’mores. 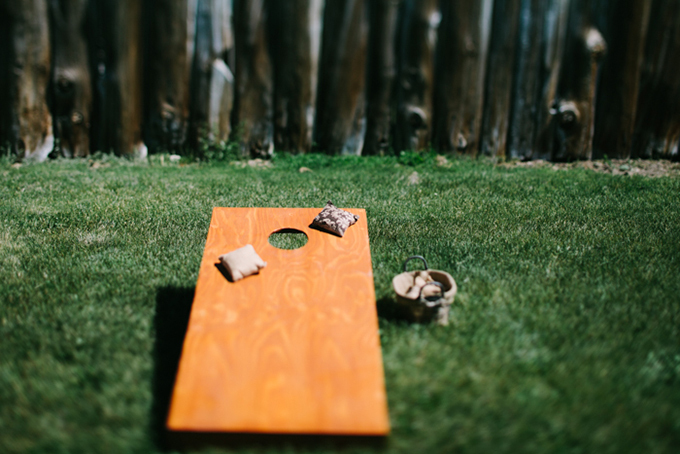 The favors were individual goodie bags of vegan s’more ingredients to make over the fire pit. All of our decorations were completely handmade by myself, my husband, and family members. Our guests had the most fun at our make-shift photo spot in which we used an instant camera with a multitude of props. 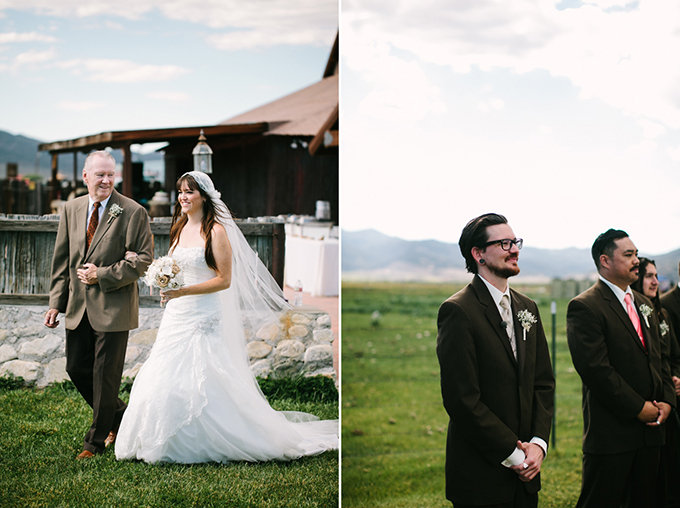 The most special part of the day were the speeches of our matron of honor and father of the groom. Both were battling cancer and were possibly not going to the wedding. They attended through pain and discomfort and gave amazing speeches that brought everyone to tears. We will cherish these memories the most being that each passed away just two and three months later. 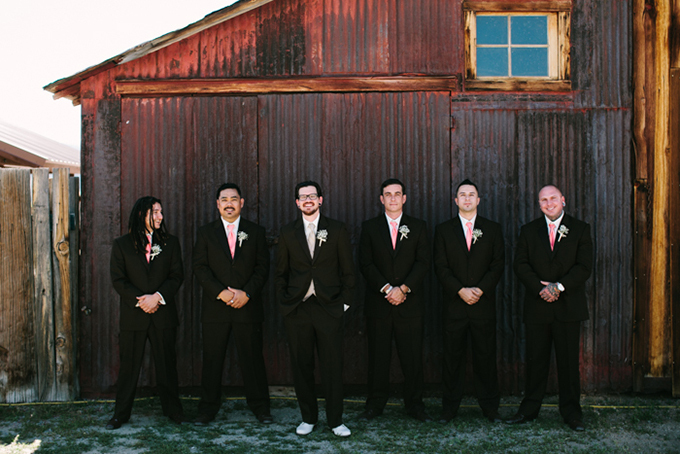 We planned everything so quickly to make sure they would be there and they were. It was truly a day of love and celebration. 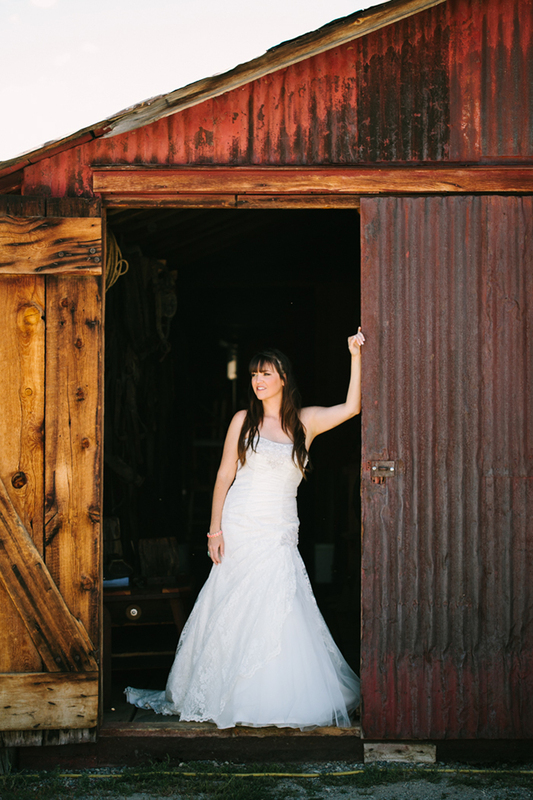 Photography | Joe+Kathrina | Venue | Bridgeport Ranch | Caterer | Linda Dore | Hair/Makeup | Tina Romo | Officiant | Uncle Louis | DJ | The Music Doctor | Videographer | Kingfish Film Co.
Love the bride's veil. The wedding has so many amazing details! 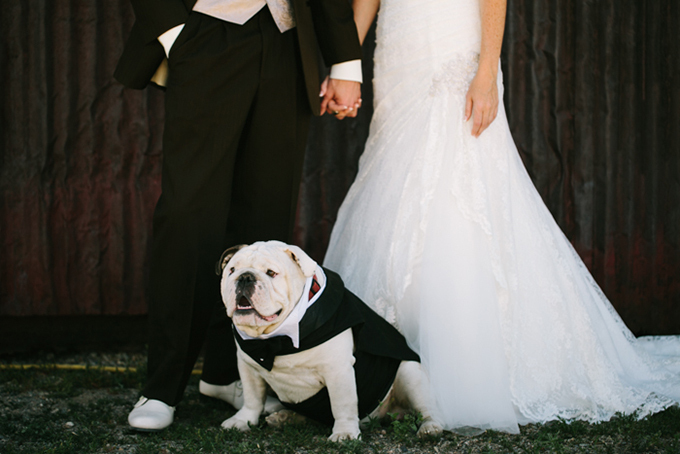 Thank you so much for featuring this wedding Megan! 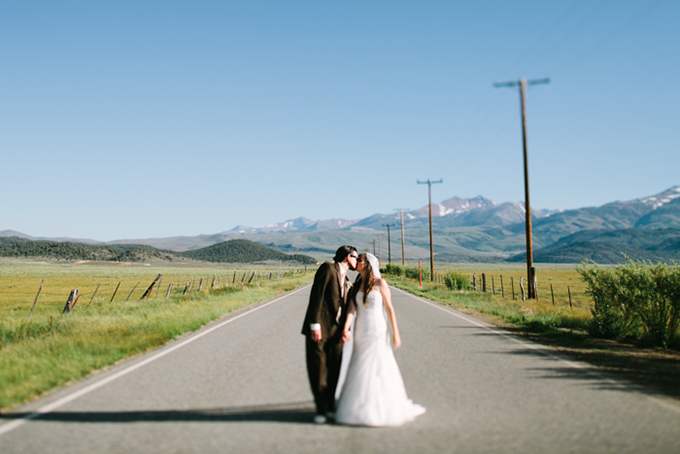 This was truly a special one to photograph and we are so honored to share it. Get out! Bridgeport is the county seat where I live. It's such a magical place. Jack Kerouac based part of his novel, the Dharma Bums, out of Bridgeport. Also, Linda Dore's food is AMAZING!!! 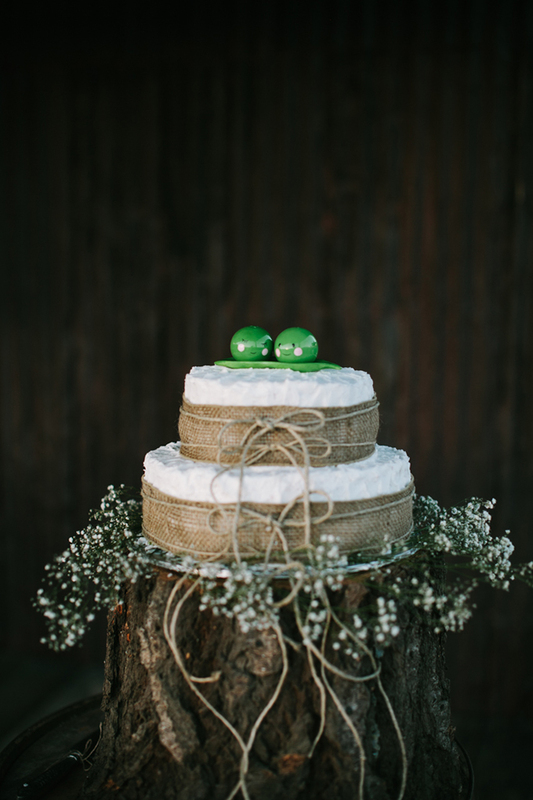 Thanks for sharing this lovely wedding Megan! 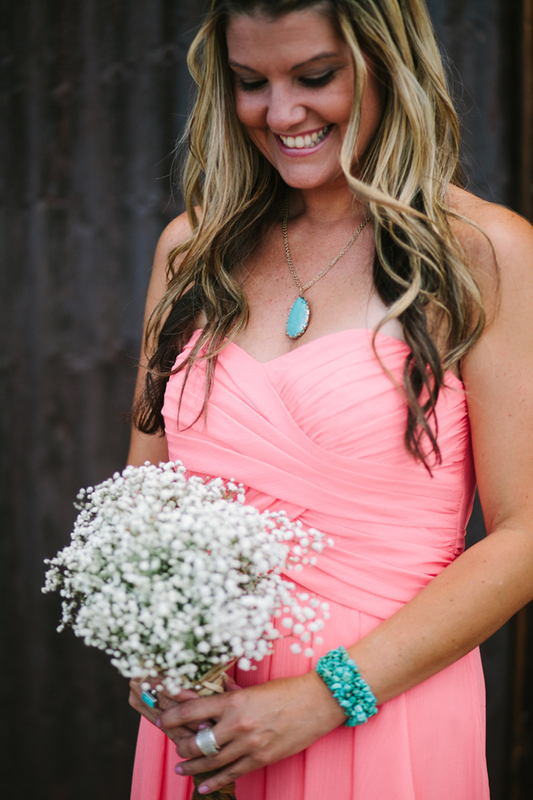 Love the turquoise and the coral! Beautiful wedding! 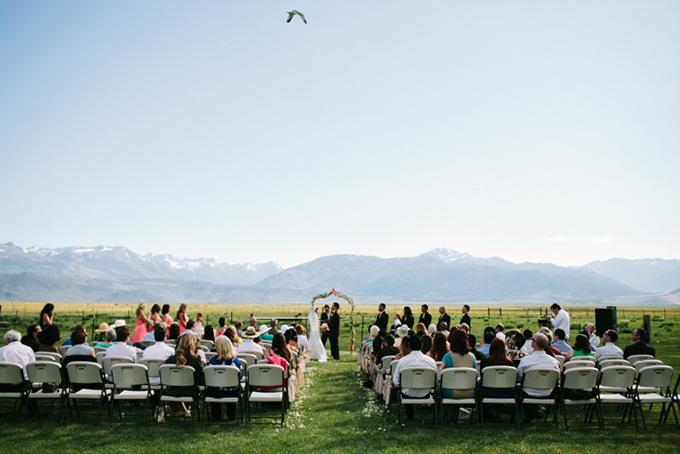 One of the most gorgeous places I've ever seen for a wedding, the bride and groom must have felt on top of the word! 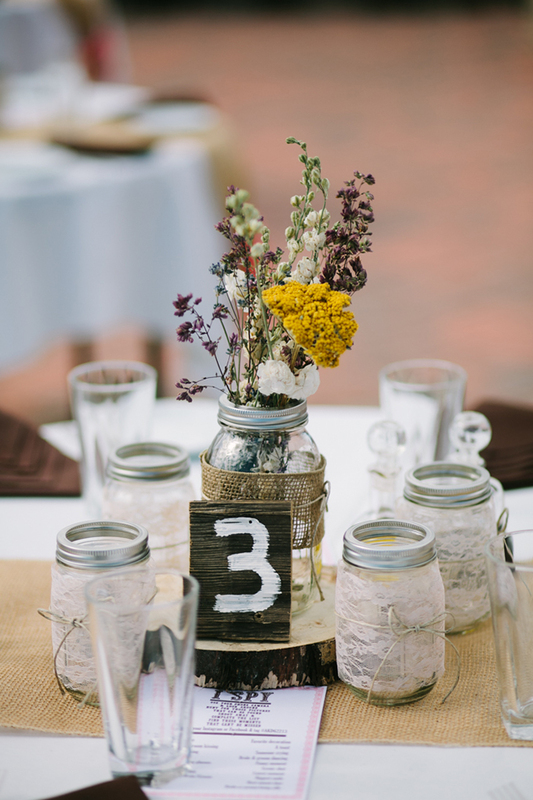 The choice of corral accessories looked great with the gown, and I loved all the rustic touches like the directional signs and mason jar floral containers. 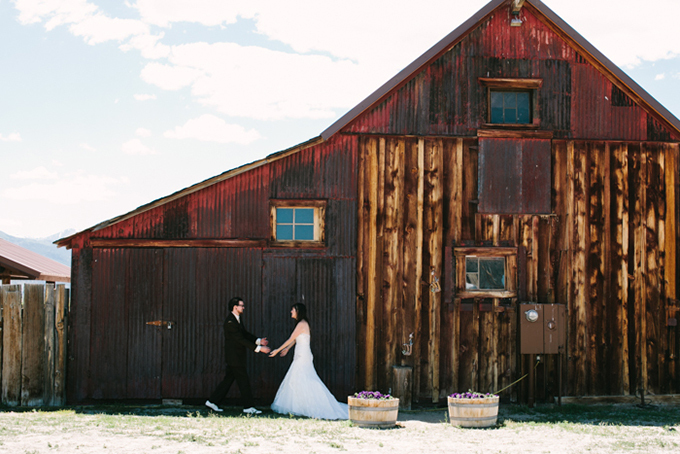 Of course nothing beat the barn for charm. Great photos!